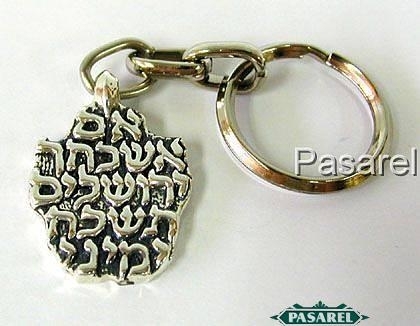 The keychain is beautifully designed, inscribed in Hebrew Im Eshkaheh Yerushaleim, Tishakah Yemini ( If I forget you, Jerusalem, let my right hand forget its skill). This item was made in the electroforming method. Height: 3.5cm. / 1.378in. 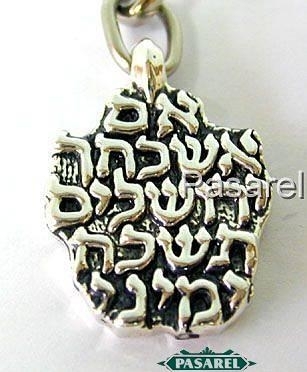 Width: 2.5cm. / 0.984in. 13.3gr. / 0.428oz.